Chris Stewart is a New York Times bestselling author, an Air Force pilot, a business executive, and a politician. He is a member of The Church of Jesus Christ of Latter-day Saints. Stewart has written more than a dozen books published in multiple languages. His first five books were technothrillers. He then wrote The Great and Terrible six-volume series (The Brothers, Where Angels Fall, The Second Sun, Fury & Light, From the End of Heaven, and Clear As the Moon). With his brother Ted Stewart, he wrote New York Times bestsellers Seven Miracles That Saved America: Why They Matter and Why We Should Have Hope and The Miracle of Freedom: Seven Tipping Points That Saved the World. During his fourteen years as a U.S. Air Force pilot, he set three world records on “Coronet Bat,” a mission that demonstrated the capability of the B-1 Lancer with live bombing activity over three bombing ranges on three continents in two hemispheres. Stewart served as senior project manager for the mission. His team set the world record for the fastest non-stop flight around the world. He was awarded the Mackay Trophy for "significant aerial achievement." The film Supersonic Saints: Thrilling Stories from LDS Pilots retells this mission. He was president and CEO of The Shipley Group, a consulting and training company that he started after his military service concluded. He sold the business in December 2012. 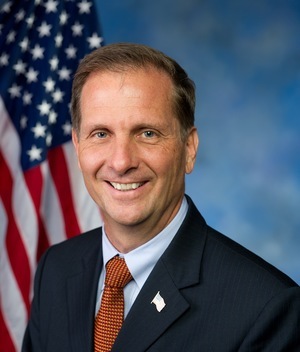 On January 3, 2013, Stewart took office in the U.S. House of Representatives, representing Utah’s 2nd congressional district. Stewart was born on July 15, 1960, in Logan, Utah. He earned a degree in economics from the Jon M. Huntsman School of Business at Utah State University. He and his wife, Evie, are the parents of six children. This page was last edited on 23 January 2016, at 22:29.